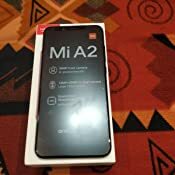 Amazon's Choice for "mi a2"
Sold by Appario Retail Private Ltd (4.7 out of 5 | 152,275 ratings) and Fulfilled by Amazon. Gift-wrap available. Buy this product as Certified Refurbished and save Rs.2,100.00 from the regular price. 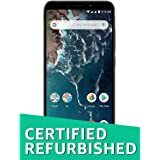 Sold by Rexez® and ships from Amazon Fulfillment. Ships from and sold by MOBISTYLE INDIA. Qualcomm Snapdragon 660, 2.2 GHz processor. 3010mAh battery capacity. 15.91 cm (5.99") FHD+ Display. Stock Android Oreo 8.1. 12 MP + 20 MP dual rear camera with portrait mode PDAF, HDR, dual flash. 20 MP front camera with portrait mode, flash light. Proximity sensor, E compass, Gyroscope, Accelerometer, IR Blaster. Get stunning pictures with a large ƒ/1.75 aperture, large pixel-size and smart lens selection. Coupled with Adreno 512 GPU with on-device AI, advanced photography and enhanced gaming. Android One brings the latest AI-powered innovations and security protections to the all-new Mi A2. 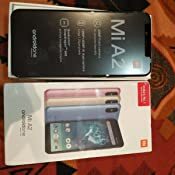 Mi A2 supports dual Nano SIM for networking and to hold critical information. For faster and smoother operations with multi-tasking abilities. Ultra-thin design. Full metal unibody. Grippable texture. 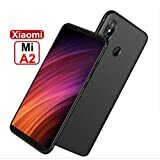 What are the advantages of having a Full Screen Display on MI A2 along with 2.5D Corning Gorilla Glass 5? Full Screen Display (18:9 aspect ratio) with an FHD+ resolution ensures good usage of available area, along with sharp picture quality. Corning Gorilla Glass 5 ensures the display is protected from daily wear and tear to a high extent. Can I switch between the lenses on the rear camera setup to take photos? Yes. In portrait mode, the switching happens automatically. On top of that, users can themselves switch between lenses is manual mode. What better one can do with Qualcomm Snapdragon 660 processor? The Snapdragon 660 processor features Kryo 260 cores, which is taken from Snapdragon 800-series of processors. In real life, users can expect general performance improvements (~79% compared to Snapdragon 625) along with better thermal performance. How can I take better low light photos using Mi A2? There is a 20MP low-light rear camera which works automatically in portrait mode and you can also switch to the lens in manual mode. The 20MP front camera comes with a selfie light and 4-in-1 Super Pixel to brighten up low-light pictures. Do both, the front and rear, cameras support portrait photography? ●The special feature which makes it's different in the segment or even some flagship models is it's Camera. 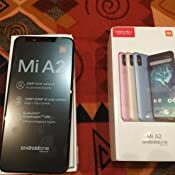 ●I was using Mi A1 and that was also a perfect phone even better than Mi A2 in terms of Screen, Sound and Battery Quality. But still, I upgraded to just because of it's Camera. ●Stock Android is too fast even 3 GB RAM is sufficient for this chipset unless you play games on mobiles. ●Enduring Battery Backup is 24-30 hours depending on your usage. ●Selfie Camera is class across the all leading mobiles. But still, searching a Camera centric phone under 20K with very fast processor with uncustomized Andorid (Stock Andorid) then your search comes to an ends on this device. 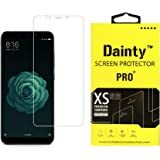 nothing great, other than camera, facing a major problem while calling screen is not getting off and causing call drop, going call on mute, flash getting on etc. Cons:- the type c connector provided along is not working. I have tried two different brand headphone but the phone is not detecting it so it could be faulty type c connector? Or is it specific to Mi headphones only?? Because under the headphone setting it shows MI headphones option only. Overall rating 3.5/5 cant give 3.5 stars so 3* rating. 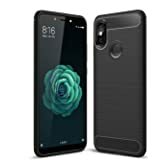 I bought this in the Amazon sale for 13.5k so for that price its a very competent smartphone but it has some major drawbacks at regular MRP that stops it from being a perfect mid ranger. Drawbacks mentioned under cons. Now you might be thinking by reading the previous statement that aha, we know what they are, but no reader they are not what you think. I am not taking about the missing micro sd slot or headphone jack. I bought this phone because someone stole my Nokia 7 plus. I had lived with a same spec phone for 5 months and let me tell you the A2 is a way better phone in terms of performance and smoothness. The 7 plus from day 1 always stuttered, froze and had janky animations. Even after multiple updates the 7 plus was not a smooth performer. So performance is a plus. The A2 performs as a SD660 phone should. 7 plus had better battery life. Yes 7 plus has a bigger battery but battery drain under load was also less on the 7 plus. Phone supports Quick charge and I have the qc3.0 charger so I can take advantage of fast charging feature. Standard supplied charger is a 10W charger. Even with screen on the fast charging keeps working unlike the 7 Plus and some other phones. Build quality on Nokia 7 plus is better but that also costs more. A2 is well built as well but the Nokia is better. A2 is slippery AF, the back is super smooth. Display is better on A2 since it has no jelly effect(which the Nokia had) and the calibration is a waaaaayyy better compared to Nokia 7 plus which has an awfully high white point and terrible RBG & grayscale performance. Brightness is about the same. 1) A2 has adequate battery life. 5PM topups are required if you use all the features of the phone. This is not an all day phone. 2) No widewine L1(has L3) certification means no FHD Netflix and Amazon prime. You are stuck at 480p. This is really bad, my 5 year old Xperia Z3 has Widewine L1. This is just penny pinching where a manufacturer should not penny pinch. 3) No LDAC support even though this is an Oreo feature. I tested using Sony wireless headphones which support LDAC. 5) No Hybrid sim slot. For 2 sim users like me this is not a deal breaker since we know what we are getting into but no micro sd slot is a turnoff for many. 6) No IP certification. Yes I know its a mid range phone & I'm not expecting IP68 but IP54(Splash proof) IMHO is a must on all phones above 10K. 7) Only USB 2.0 support. its 2018 manufacturers 3.0 only cost 15-20 cents more to implement. 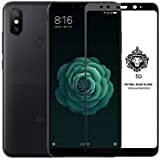 8) Does not support Pixel camera mod, Nokia 7 plus supported it. Snappy performance, its nearly SD835 fast. I tested using PC mark and the Work 2.0 scores are within 10%. My other phone has SD835. QC4.0 support and backwards compatible with all versions of Quick Charge. Above average cameras, competent for the segment. 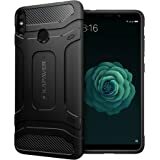 When you buy a smartphone you are looking for the complete experience and this phone does not provide that in a few key areas like the lack of widewine L1 and LDAC support. I have been aware of widewine L1 b4 the pocofone controversy because unlike Netflix, Amazon prime supports only a handful of Samsung, Apple & Sony devices for 1080p & HDR playback and even if your phone has widewine L1 unless the phone is Amazon certified you will not get 1080p playback in the prime video app. So the first thing I tested was the DRM info and this phone lacks widewine L1 which is a bummer. 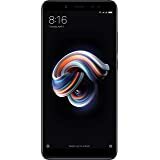 I can understand the lack of aptx since that requires additional royalties to qualcomm and the A2 being a midranger I can see why Xiaomi chose to not provide aptX or aptx HD but no LDAC, come on there is no headphone jack on this device so the least Xiaomi could have done is enable a feature that is baked into the Oreo OS to at least provide the best BT audio codec. 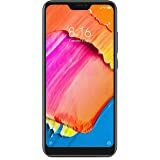 This is a phone that has some very strong points like, Android One, fast smooth performance, support for QC4.0 but then has huge drawbacks which I have mentioned previously along with the missing 3.5mm jack and no hybrid slot support. 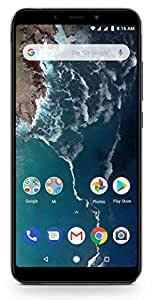 Who should buy the Mi A2: Someone who is looking for a fast snappy performing phone and values stock Android and 2 years of guaranteed updates over features like 3.5mm jack, SD card slot and marathon (7-8 hr SOT) battery run times..
5.0 out of 5 starsBest mobile phone & Amazon Faster delivery. Thanks Amazon & Faster n Guarantee delivery. 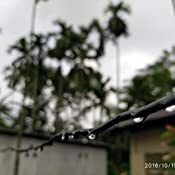 It is an awesome phone.. this is for those who wants a better camera.. it's camera is truly amazing.specially the manual mode.. it's speaker is tooo loud. Although having 3010 battery it's capable to last 5hours of use online and 10hours of offline use.. Battery draining very fast. Max it come for 12hrs. I don't recommend to buy this model.